RARE FIND! 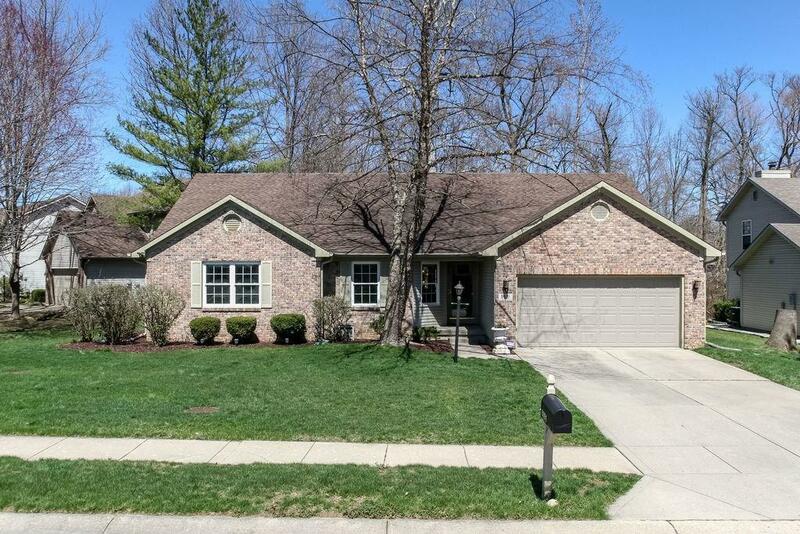 Nestled in the heart of Fishers, youâll love this 3BD, 2BA, w/over 1700sf on Main + Office on Main complete w/FINISHED BSMT w/Addâl 1700sf located on quiet cul-de-sac street w/irresistible Screened Porch overlooking Private Fncd Yard! Soaring Cathedral Clgs & oversized Skylights + upgraded Vinyl Plank flrs greet you as you enter this gorgeous hm! Spacious Great Rm w/Flr to Clg Brick Wood burning Frplc w/raised hearth! Sunny eat-in Kit w/Brkfst Bar + SS Appls! Master Suite w/Cathedral Clgs + WIC + Dbl Sinks + Jacuzzi Tub + Sep Shower! Full Bsmt w/perfect spot for Hm Theater, Exercise area + Storage area + rm for a Workshop + Bonus Rm currently used as a Guest BD! Quiet Bkyd w/mature trees + Mini Barn! Irrigation System!